The Danish writer and researcher on history, OVE VON SPAETH, analyses distinctive traces from sources of antiquity and ancient history in order to disclose the mystery of the historical Moses. This also includes his investigation of ancient cultic conditions and initiation mysteries, previously often neglected on the broad historical level. The writer's discoveries concerning the ancient cults show important keys to an enlarged historical dimension - a fascinating past far more abundant and advanced than hitherto anticipated. :: Supplementary elements: - based on studies and research of also astronomical history and Egyptology the writer has published a unique treatise on the oldest star map of the world. As the first researcher to indentify the ancient information in the map he has specifically disclosed the exact dating of the map - a scientific pioneer work which has gained international admiration and respect - and among other things it has contributed to the first exact dating one of the most important epochs of ancient Egypt (cf. The Senmut Star-map). In his books and articles Ove von Spaeth shows an infectious enthusiasm appreciated from all sides and emphasized together with the acknowledged results of his long standing intensive research of the rare and controversial material. His way of disseminating information about important subjects makes the books immediately accessible to everybody - also to people without a professional background. Main areas of the writer's work: - 1) pioneering research, thorough elaboration, and publishing of the five unique volumes about the historical Moses and his influence. 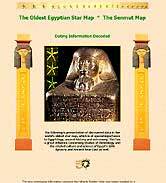 - 2) the first exact dating of the oldest star map of the world leading to an important improvement of Egyptian chronology. - 3) books and articles about important but neglected or forgotten scientific and spiritual circumstances influencing early history. - 4) establishment of the Moses-series' own web-site, which includes adequate archives and comprehensive bibliography and documentation of the research processes with news on results and propagation (cf. present section 7). Eventually - after more than 25 years of detailed researching all relevant ancient studies - Ove von Spaeth is able to reply to questions which many researchers previously for various reasons did not confront. Among other things he had the benefit of Denmark's Royal National Library in Copenhagen containing the world's biggest collections of Tycho Brahe documents as well as Jewish historical books and manuscripts. According to F.J. Billeskov Jansen, Ph.D., Professor in Literature History, University of Copenhagen: "... Danish author Ove von Spaeth appears to be one of Denmark's boldest researchers - he engrosses his readers' mind with his discoveries about the famous Moses. His character as a historian is unique. ..."
In addition, with talent and knowledge on disclosing superior coherences our author has contributed with an important, eye-opening resource for our mutual recollection heritage. (See e.g. Info+FAQ and "Tracking the Moses Heritage from Egypt"). Thus the features in brief; - other circumstances, e.g. about the wide perspectives (cf. Project) and the writer's background etc. can be found elsewhere on this web-site (e.g. under "Author"), so the present page will concentrate on introducing important relations and personal networks which have contributed to promote the comprehensive - and demanding - project. Other researchers and the project: - the writer owes his sincere thanks to a group of experienced researchers and other experts who have contributed with excellent help along the work process, not least in the Moses research. Mr. JARL HANSEN is the daily head of International Macro Systems Internet, www.macrosys.net. From the beginning of Ove von Spaeth's historical research projects it was necessary to have a very reliable dating - in those days such work often depending on huge university computers. Soon, when substantial computer development and access became available, cooperation was established with this Danish technical specialist Jarl Hansen, Macrosys. :: Pioneer and expert: - Jarl Hansen's professional experience reaches far back. In 1973 he worked out his first computer programming and astronomic diagrams for computer-based astronomy; years later he was among the first private designers and programmers of web-sites. A long time before personal computers were common, Jarl Hansen, even at that time an experienced computer pioneer, made it possible to establish sufficient computer power and programming for his own company, so that based on this assistance Ove von Spaeth in the early 1980's was able to break the code of the built-in dating of Egypt's (and the World's) oldest star map. (Today, astronomical computing work is not produced any longer by Macrosys). 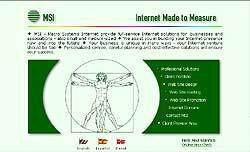 A distinguished number of professional web-sites with complete internet solutions created by Jarl Hansen's company, i.e. Macrosys, are highly recognized by the often bilingual groups of clients - systems individually tailor-made in a close operation. Macrosys solutions are widely known as attractive, well-organized - and easy to work with. Everything has been tested with severe demands ensuring any work to function optimally according to its purpose - also with different kinds of computer equipment. The web-site of the book-series on the historical Moses, i.e. 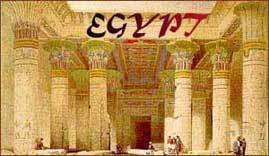 www.moses-egypt.net, continuously up-dated and expanded, is one of the finest proofs of this. 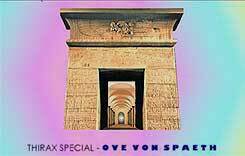 In connection with Ove von Spaeth's launching in 1999 of the web-site of his book series, i.e. www.moses-egypt.net, Jarl Hansen and his Macrosys Web-development have rendered prodigious technical assistance and know-how on Internet communication for years. With his professional background as a designer Ove von Spaeth made the design of the web-site of his books (cf. section 7 below) in close cooperation with Macrosys' constantly alert development department. According to Ove von Spaeth: - "... The early astronomic computer work for my research over the years as well as later the sublime technical preparation of the complex net-publication of information, press references and archives about my books' web-site, had hardly been successful without this very professional base with Jarl Hansen and Macrosys, his quality workshop. ..."
C.A. 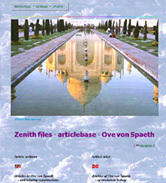 REITZEL Publishers began to publish Ove von Spaeth's five-volume series, i.e. "Assassinating Moses", in May, 1999. Publishing of the entire series was planned to be concluded within approx. five years. According to Ove von Spaeth: "... Publishing my new orientating and controversial work was both a brave and a visionary decision made by Mr. SVEND OLUFSEN, manager, owner, and leader of the publishing company, which had won great distinction for their impressive contribution to Danish culture by a continuous flow of many years of culturally important publications." :: History and present times: - C.A. 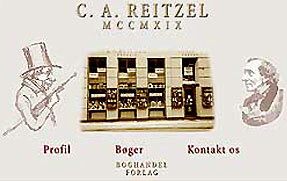 Reitzel Publisher and Bookseller, Ltd., was founded in Copenhagen in 1819 by Carl Andreas Reitzel, who at that time established a university book shop and also a publishing company of his own. It is Soeren Kierkegaard and Hans Christian Andersen's original publishing house - and also the oldest book shop in Denmark, i.e. "the Golden Age Publisher and Bookstore" already at that time publishing works, too, of all the great writers. The publishing house - to publish for and in close co-operation with e.g. The Royal Danish Academy of Sciences and Letters, The Soeren Kierkegaard Society, The Danish Society of Language and Literature, Royal Danish Geographical Society, The University Library, and institutions of higher education and public administration. The bookstore - is a supplier of books currently to the Royal National Library, The University Library and a string of research libraries and institutions of higher education - and supplies books, journals and periodicals also to university libraries of other countries such as Germany, Britain, the USA, Norway, and Sweden (e.g. The Hebrew University- and National Library in Jerusalem purchased Ove von Spaeth's book-series on the historical Moses). Books about Soeren Kierkegaard are still a corner stone of the publishing programme. Also, C.A. Reitzel Publishers has for many years, approx. fortnightly, published new books on culture - not least specialising in philosophy, cultural history, religion, humanitarian research, contemporary history and literature. Also in this respect this publisher is an ideal distributor of the Moses-series. Based on Ove von Spaeth's book series on Moses in relation to Egyptian religion and initiation cults, special lectures and seminars on Moses as well as Moses-tours to Egypt are organised currently. These initiatives are established and performed by Mr. ERIK ANSVANG, who is also in charge of the implementation. Erik Ansvang is lecturer, writer, principal of courses, and tour organizer and guide. He is a Freemason, webmaster and author of the Wisdom Fund Network, which offers open access articles and e-books, also with inspiration for peace work and conflict resolution. He has by decades of cooperation with his wife, Thora Lund Mollerup, his co-author of several books. In particular, he gives lectures and courses on the spiritual culture of Egypt through millennia - a number of these lectures are directly based on the books by Ove von Spaeth. :: Background, insight, and experience: - Erik Ansvang, former co-chairman of Theosophical Society Scandinavia, is chairman of the private humanitarian trust The Wisdom Network (in Danish: Visdomsnettet), and he also is the webmaster on its net-portal. Erik Ansvang has visited and stayed in Egypt more than 50 times, and he has thoroughly studied most of the important ancient sites of the country - frequently when all these sites were more easily accessible also for photographing. He keeps a file of many thousands of exclusive exposures. For decades Erik Ansvang and his wife, THORA LUND MOLLERUP - who is his co-writer of the book, "Pyramid Enigmas and Temple Mysteries" (LemuelBooks 2007) - have worked with esoteric Egyptology. Concurrently, the couple teaches spiritual knowledge and arrange workshops, school courses, and studytours to Egypt. 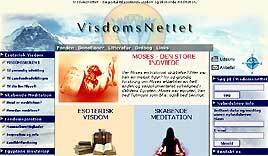 On the Internet the comprehensive and successful portal Visdomsnettet.dk, The Wisdom Net, is created by Erik Ansvang. 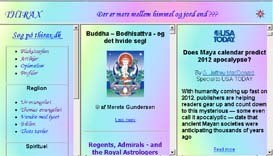 The beautiful and dynamic website, hitherto in Danish, offers without charge a wide range of themes of information in hundreds of articles on esoteric and holistic science, philosophy, and spiritual development, e-books, a creative meditation system, work for peace and conflict solutions, and the many texts on Ancient Egypt - all to be downloaded. The portal Visdomsnettet.dk also presents a substantial amount of Ove von Spaeth's articles. "The Guide to Egypt", Erik Ansvang's profound series of lectures, has been created as a well documented esoteric additional supplement to traditional Egyptology. Among this series of 36 instructive lectures, as many as 6 lectures deal with Moses on the basis of Ove von Spaeth's book-series, i.e. "Assassinating Moses"; the entire material is available also as CD series, MP3 transmissions, and in weekend courses (cf. Visdomsnettet.dk). Participants of the Moses-tours to Egypt arranged by Erik Ansvang will also be presented with this material, continuously supplemented by his own substantial knowledge and experience. According to Ove von Spaeth: "... Erik Ansvang is a stupendous and knowledgeable lecturer - and he is also one of the most distinguished and perceptive communicators of my discoveries as well as my entire research. ..."
Thirax.dk was established as an exclusive net portal presenting inspiring articles, narratives, essays, links, and web-sites on the alternative world as well as on alternative historical articles. 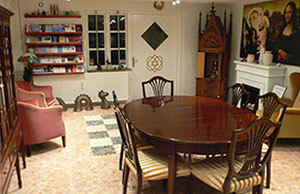 - Mr. ERLING MADSEN created this special portal in 2002 and has managed it currently. :: Background: - Erling Madsen owned several electronic and data companies - and had 35 years of experience with computer work. The companies were fairly successful with many good employees; however, he suffered from a coronary thrombus which made him decide to sell the firms. The alteration influenced him at a personal level all of which contributed to some new mental and spiritual experiences. According to Erling Madsen: "During a stroll in the woods I got the idea that I could use my abilities as a programmer to create an internet home-page presenting knowledge on spiritual matters and the alternative as a whole. I only realized that many such web-sites existed already when I had created the portal, www.thirax.dk." According to Ove von Spaeth: "...A considerable effort is made by Erling Madsen in communicating important knowledge - also of the kind that is less accepted. 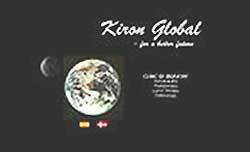 He has also created an ongoing communication of a substantial amount of my own articles for instance about star knowledge, history of religion, mythology research, and ideas of reincarnation, so really this knowledge is publicly available, received and read. He has generously created a special channel for these articles at THIRAX SPECIAL: www.ovs.thirax.dk. ..."
Erling Madsen himself has written, simply that the purpose of the entire portal, thirax.dk is: "... only to communicate knowledge to as many as possible - knowledge which may not be acceptable to everybody …". Later he also created a Thirax SPECIAL for Ulla Runchel, a writer specializing in spiritual advance and future research. Thirax has more than 400 visitors in 24 hours. Unusual articles of a high quality are continuously supplied to thirax.dk, which also contains a substantial number of articles in English. of great interest, founded on distinguished traditions of communication and active distribution of special categories of books, not least about alternative and spiritual subjects often not available elsewhere. :: From a living previous history: - around 1950 in Copenhagen Mr. Poul Strube opened a bookstore as an independent shop - a true pioneer work and for many years the only bookstore in Denmark distributing books on alternative subjects. Strube also started his own publishing house. According to Ove von Spaeth: "... I was a frequent customer for many years of the Strube Bookstore, and I bought many books about exciting discoveries and research - they were only available in this bookstore. When I published my first experimental works, Strube was the basis (on commission). ..."
When Poul Strube passed away in 1991, his wife Jonna carried on the firm. In April 2000 she changed the address of the bookstore and the publishing house; it was well-known everywhere, and the important files of clients were a momentous network with a comprehensive number of addresses of interested people all over the country. Mrs. Jonna Strube passed away in 2002. Mrs. LYKKE OLSEN, a good friend of Jonna Strube, took over the addresses and the entire stock of books, and she was traded via the Internet from her address www.bog-mystik.dk. 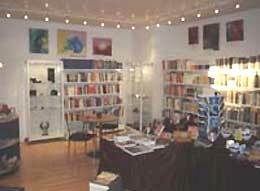 She was so successful that in December 2004, she opened the doors to a new bookstore, in Copenhagen. It is perfectly true that this bookstore maintains the Strube spirit, now with comprehensive new initiatives, elaborated selection of commodities, e.g. music, etc. - cf. the versatile assortment, yet still focusing mainly on books about the body, mind, and soul, and knowledge of the alternative world. 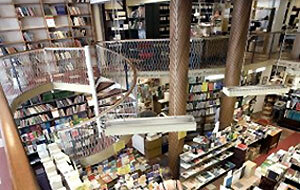 - "Bog & Mystik" is established as one of Denmark's most important and versatile bookstores via the net and as a shop. According to author Ove von Spaeth: "... I feel very fortunate to join in such cooperation not least via www.moses-egypt.net which is connected with their efficient net-sale and advertising of my books - and in the extended contact with also many new clients attached to this shop. ..."
Concurrently with the shop sales Mr. Dennis Olsen, Lykke's husband continuously improves and updates the net book shop www.bog-mystik.dk. A great number of the books are in English. As an on-line shop "Bog & Mystik, books for the body, mind, and soul" - is of course open 24 hours each day all year round for a quick and direct purchase made from the homely armchair. "Bog & Mystik" is awarded the e-mark - a safe trade in accordance with laws on internet trade. The publishing house Lemuel Books includes in its main aims to publish esoteric, spiritual, and Freemason-relevant books in both the narrow and broad genre within the field of "Men sana in corpore sano" - 'a healthy soul in a healthy body'. The publishing house's dynamic leader and chief-in-charge, Kirsten Puggaard, is a Freemason (Le droit humain) and has a background in various fields, including holding an administrative leader post in the business world, and in addition valuable practical experience about the trade gained from active participation for the establishment and operation of the Sophia Bookstore and its publishing business. Sophia Bookstore was later acquired by Lemuel Books. Everywhere Kirsten Puggaard is known as highly committed, serious and persistent - and she has for years studied spiritual science and actively participated in service work in esoteric groups. At Lemuel Books - now also running a bookstore with its own published books as well as Danish and English books of hermetic, kabbalistic, and Masonic character - there will be current activities, lectures, and various teachers. The place will accommodate a small library of relevant literature which the public can visit and study. :: The publishing house, Lemuel Books' own history: - The quotation of the motto and ideal, "But sana in corpore sano" - 'a healthy mind in a healthy body', is attributed to the Roman poet Juvenal and satirist, from ca. 100 AD and continuing at the time of Emperor Hadrian - and is typical of his beliefs and background. In a period of exile he both stayed in Alexandria in Egypt and in the then Roman province of Britannia because of his Christian-Gnostic and Pythagorean thoughts and ideas. The start of the publishing house was the manifestation of a long-standing wish by its founder and then director and owner, Kirsten Puggaard. The concept was given shape during a lunch at the forest restaurant Thor's Mill in the Marselisborg Forest at Aarhus in June 2006. 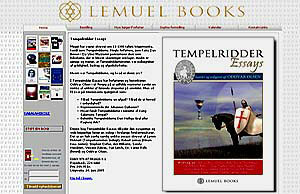 A few days later the publishing house was named Lemuel Books and was finally established 17.Aug.2006. The name Lemuel is in a Bible dictionary defined as: 'dedicated to the Heavenly Copyright'. King Lemuel was the son of King Solomon and Sheba Bath (the Bible's "Book of Proverbs" 31:1-9), but the rabbis identified Lemuel with the wise King Solomon. Lemuel Books publishing house presents not least authors like Lars Muhl, Poul Blak, Søren Hauge, and Erik Ansvang - and its aim of publishing is based on Kirsten Puggaard's great personal interest in the dissemination of outlooks of the spiritual sciences and the peace inspiration. For instance, she is joining the Board of VisdomsNettet (Wisdom network, org. ), a private humanitarian and non-profit foundation, which - likewise the publishing house (but independently, and separately) - through its activities will raise awareness on the research and discoveries of spiritual science and the pertinence of spiritual values in everyday life and the community development. 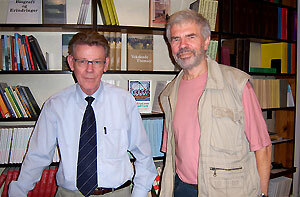 Within this vital dimension author Ove von Spaeth, through his cooperation with the publisher Lemuel Books, is realizing a number of special editions with the presentation of his continued new explorations; this is also extending a conducive, broader interaction internationally with a universally interested audience. Design of the Moses-series: in order to make a number of quite unusual books - all pieced together of thousands of sources and data - working as an accessible whole and at the same time making these books inviting and visually easily readable, were all tasks to be solved by the writer, editor, and graphic designer of the books - Mr. Ove von Spaeth. In this case thus one and the same person - a natural advantage for the process. :: Supplementary elements: - in addition to being researcher, writer, and editor of the Moses-series and many other publications of his own, Ove von Spaeth's first education was in the field of graphic design with a special diploma degree from the Graphic Arts Institute of Denmark after several years of design studies. This was followed by many years as owner of an independent business enterprise. Many of Ove von Spaeth's works of design from his enterprise can be seen in the collections of The Royal Danish National Library and of The Danish Museum of Arts and Design (further details, cf. "Author"). One of the Ove von Spaeth Project's main objectives was the broad Internet presentation of the book-series on the historical Moses. This influenced the distribution far more than notably. It also proved necessary to record many important relations and events in connection with the publication, the reactions, and the effect caused by the results of the writer's research. 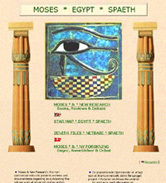 The web-site design of the book-series, www.moses-egypt.net, should also communicate to the visitor and reader the special and sublime spirit of Ancient Egypt, which for instance appears in its arts and architecture - but simultaneously, importance was paid also to make the best possible navigation for this web-site's immense numbers of information-articles and archives. 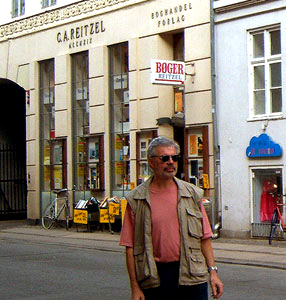 According to editor and journalist Jacob Ludvigsen: "... From the creation (in November 1999) of the web-site, the researcher Ove von Spaeth has made out the concept with his appreciated, cultivated sense of style and individualism - a cult website - thus having also created history in the Danish world of books, and now a top-important homepage on the Internet, concerning new orientation of ancient history and history of religions. ..."
Obviously, the main objective of the project has caused this website, in many ways, to be designed and created quite differently than is generally seen in this form of public service and public relations. Also, it is being updated and extended continuously. During his extensive work regarding the research on Moses and other historical issues, Ove von Spaeth frequently used through 25 years The Royal National Library of Denmark and its reading room with its immensely abundant reference library. It was essential to his investigations that in The Royal National Library of Denmark this author had access to one of the world's greatest collections of older Hebrew texts and literature. Ove von Spaeth's re-evaluation of the historical Moses' work and status - presented also through many special treaties within his books or in seperate publications - is based on interdisciplinary scientific and cultural historical research. It is connecting archaeological findings, textual research, and astronomical dating, all being evaluated in relation to the Bible, the Rabbinical Writings, and various important authors of Antiquity. Many sources and findings, handed-down accounts, clues and indication material have, for the first time, been put into the greater context. Concerning much of the collected, unusual knowledge we are greatly indebted to the élite scientists from the early period of researches, who from older vanishing cultures, often at the last minute, managed to obtain and preserve a special knowledge about man, his conduct of life and his history. Therefore, many of the early academic works are priceless. Through this library and its contact with foreign libraries in Europe and abroad Ove von Spaeth borrowed and copied more than a thousand very important books, which had been out of print for a very long time, besides old important articles and documents. The Royal National Library of Denmark with its old and most paradisiacal was for a long time in reality Denmark's greatest open interdisciplinary forum (now expired) where many prominent researchers met. From here, nor least, our author got inestimable assistance from experts with a lifelong experience and studies in Egyptology, Hebrew, ancient Greek, history etc. According to Ove von Spaeth: "... a significant number of researchers and experts have from their separate fields of science most kindly contributed to my research work with guidance, criticism, argumentation, and encouragement. Naturally, these experts are not responsible for the way in which their information has been used - in any case, however, their information has always been evaluated with great respect and used most carefully by me, the very grateful author. ..."
Egyptology: Erik Iversen, Ph.D.,h.c., Assistant Professor, formerly Department of Egyptology, the University of Copenhagen; - Eva Richter Aeroe, M.A., Assistant Professor, Carsten Niebuhr Institute, the University of Copenhagen; - Geoffrey T. Martin, Prof.D., Department of Egyptology, the London University, England. Biblical Research: Jes P. Asmussen, Ph.D. et Theology, Professor, the Carsten Niebuhr Department of Near Eastern Studies, University of Copenhagen; - Bent Melchior, former Chief Rabbi of Denmark; - Jakob H. Groenbaek, B.D., Subject Adviser, Royal Library, Copenhagen; - Eduard Nielsen, B.D., Professor, Dep. of Biblical Exegesis, University of Copenhagen; - Niels Peter Lemche, B.D., Professor, Dep. of Biblical Exegesis, University of Copenhagen. History of Religions: Jes P. Asmussen, Ph.D. et D.D. theol.h.c., Professor, formerly Carsten Niebuhr Institute for Near Eastern Studies, University of Copenhagen. Assyriologi: Aage Westenholz, M.A., Professor, Carsten Niebuhr Institute, University of Copenhagen. Latin Philology: Peter Zeeberg, PhD in Latin Language and Literature, Professor, Copenhagen University, & The Society for Danish Language and Literature. History: Jens Jörgensen, MA in History, former Headmaster, officiately appointed examiner in history at the Universities of Copenhagen, Aarhus and Odense. Renaissance History: Alex Wittendorff, Ph.D., Professor, Departement of History, University of Copenhagen. Alchemy History: Johannes Fabricius, Ph.D., Professor, Blaagaard National College for Teachers. Military Strategy History: Michael H. Clemmesen, Cand.Phil., Brigade General, formerly The Academy of Defence. Glacio-chronologi: Claus Hammer, Ph.D., Professor, Geophysical Dep., The Niels Bohr Institute, the University of Copenhagen. Astronomical Calculation: Leif Kahl Kristensen, Ph.D., Assistant Professor, Department of History of Science, Aarhus University, Denmark; - K.A. Ternoe, M.A., formerly Department of Physics, Danish Post-Graduate Training College for Teachers, Copenhagen; - Kyril Fabrin, Assist. Professor, Mathematics & Astronomy, formerly Aalborg University, Denmark; - H. Quade Rasmusen, Astronomer, Kalundborg, Denmark; - F.R. Stephenson, D.C., Astronomer, University of Durham, England; - David Dunham, DC, Astronomer, US Naval Observatory, Washington DC, USA. Also thanks to: Rune Engelbreth Larsen, M.A. in History of Ideas and History of Religion; - Erik Dal, Ph.D., Chief librarian, The Royal National Library of Denmark, Copenhagen; - Eva Björnböl, Research-librarian, Cairo; - Jannie Fursund, LLD, Assistant Professor; - Christoffer Gertz Bech, M.A. in Philosophy and Greek Philology; - Jeppe Berg Sandvej, Ph.D., in Theology and History of Ideas; - Erling Haagensen, Writer, and Film Director; - Asmus Koefoed, Bach.Phys. ; - Sidney Maage, Principal, Ministry of Defences; - Karine Smidth, Journalist - Anny Höegh, superv., DI; - Sven Tito Achen, Symbology Historian, and Council Secretary, formerly The Danish Research Council for the Humanities; - Bodil Eeg Neumann, Techn.A. ; - Henry Lincoln, Writer, Researcher; - Raymond Bildstedfelt, Inf.Director, DI; - Guni Martin, Instructor, Writer, Publisher; - Marianne Illum, proofreader; - Evan Bogan, Publ. Director; - Cynthia Gyldenholm, Translator; - Ulla Hoff, H.D. in English language, Translator; - Construction of Computer Programs: Laurids Pedersen, Nysted, Denmark. Special thanks to: - The Staff of The Royal National Library of Denmark; - The Staff of Departmen II of the Copenhagen University Library; - Astronomical Computer Calculations by Jarl Hansen, Macro Systems Internet, Coín, Spain; - and to C.A. Reitzel's Publishing Director, Svend Olufsen, who, with his great commitment has published the book-series on the historical Moses. I am very grateful for the extensive, valuable guidance I even from the start received from many fine experts, (from left to right) not least: Erik Iversen, Dr.Phil.,h.c. Egyptologist; Prince Peter of Greece and Denmark, Dr. anthropology and law (England and France); Kristian Peder Moesgaard, D.Sc. historical astronomy; Clyde Tombaugh, Dr. astronomy (New Mexico); Jens Jorgensen, MA historian, former rector; Jens-André Herbener, M.A. Semitic languages and religious history; Rune Engelbreth Larsen, M.A. History of Ideas and Religion. 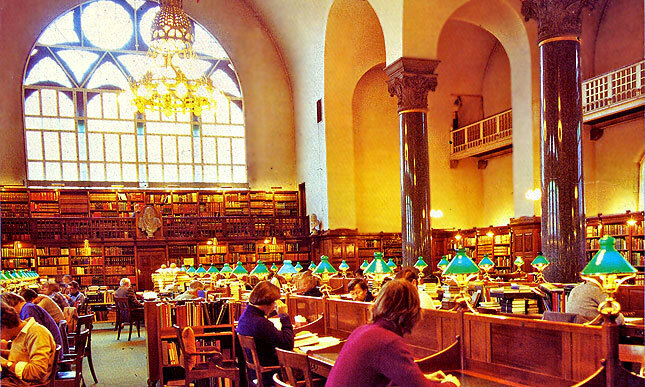 The Royal Danish National Library, the wonderful reading room with its immensely abundant reference library - prior to the year 2000 with rebuilding and change of the contents. Much time of happiness author Ove von Spaeth spent here - and was grateful for the knowledge, experience, and contacts of many experts visiting this 'interdisciplinary' hall, not least the sitting gentleman in the background, Professor Erik Iversen, Dr. in Egyptology, who at 'his' desk no. 47 used the library almost every day for fifty years. (courtesy Royal Danish National Library).